Mechanical burners for acetylene/compressed air. The pursuit of material strength, and associated reduced weight in welded constructions, has fuelled the development of new, high-strength steel. However, in many cases improvements in mechanical properties mean that pre-heating is necessary before welding commences. In addition, in some cases, pre-heating is even recommended before cutting. There are a number of different methods used for pre-heating, each with specific advantages and disadvantages. In this article we will take an in-depth look at how the somewhat forgotten method of pre-heating works, and consider the strengths and weaknesses associated with it. The micro-structure of the weld metal is significantly affected by a combination of the heat Chemical, composition and thickness. How can hydrogen induced cracks be avoided? A wide range of factors may lead to the formation of cracks, including the choice of material, design, choice of welding process and parameters (heat input, fillers, gas and/or powder with low hydrogen content), management of the welding process and pre-/post-heating carried out. This article focuses on flame heating as a means of method for reducing the risk of cold cracks during welding (and cutting). Pre-heating reduces the rate of cooling (affecting the structural change, for example, by reducing the proportion of martensite as well as the hardness of weld metal and HAZ). Pre-heating also reduces the hydrogen content (this can also be done through PWHT). As there is a wide variety, it is best to consult with your steel supplier in order to obtain the correct preheating recommendations. What is less well known is that certain materials, for example, HARDOX, sometimes need to be pre-heated prior to cutting. There are a number of different heating applications available on the market, and each one has its advantages and disadvantages. These include resistive or inductive heat as well as heating in furnaces. This article, however, focuses solely on flame heating. Although this method has been used for a number of years, the development of new torches and the use of air as an oxidising media has in some cases created new possibilities when it comes to performance and safety. To maintain the flame, and thereby raise the temperature of the workpiece, a flammable gas and an oxidising media are required. In theory, any gas which burns when combined with air can be used as a flammable gas, although acetylene, LPG (liquefied petroleum gas), propylene and natural gas are used most commonly. Oxygen (ODOROX), compressed air and atmospheric air are also used as oxidising media, depending on the required flame temperature. The flame temperature for different flammable gases when combined with compressed air. 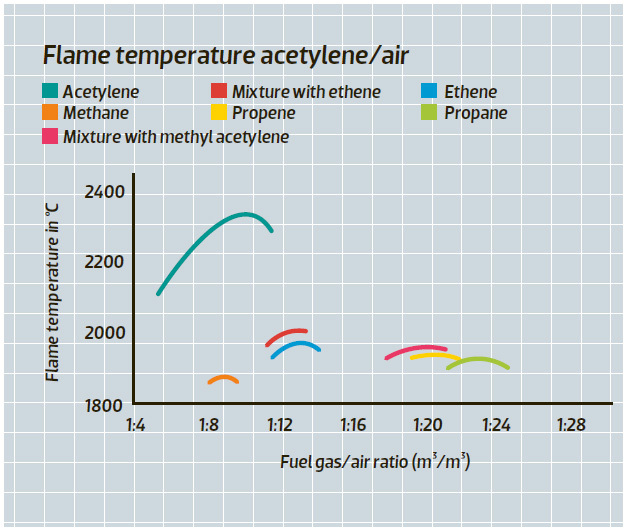 The flame temperature with different flammable gas/oxygen mixtures and the temperature distribution in an acetylene/oxygen flame. Acetylene generates the hottest flame of all flammable gases, reaching around 3,100 °C when combined with oxygen. 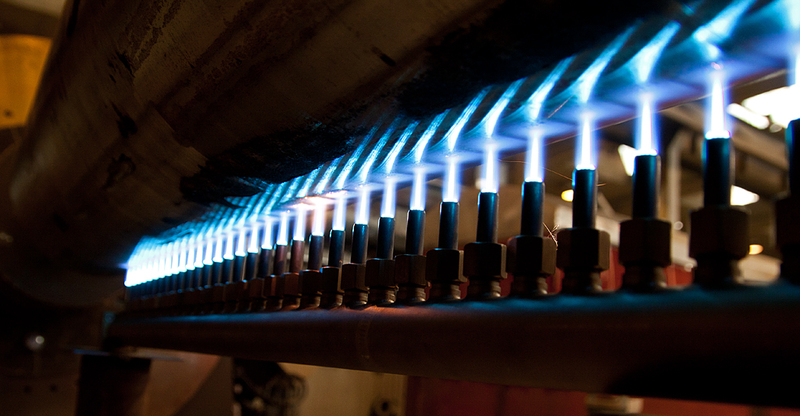 Acetylene also generates a concentrated heat supply, as the majority of energy occurs in the primary flame. Acetylene provides fast, localised heating and is recommended for applications requiring a high level of precision and performance. The flame temperature for different flammable gases when combined with compressed air. When combined with compressed air the flame temperate is lower, at around 2,300 °C. This results in a mild flame, which is nevertheless effective and suitable for a range of heating operations. The inclusion of air reduces the speed of combustion, totally eliminating the risk of flashback. In combination with oxygen, the temperature may reach up to around 2,800 °C. 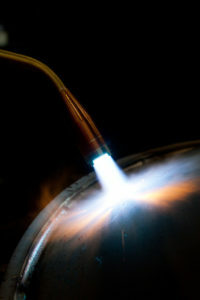 The temperature is more evenly distributed in the flame than when acetylene is used, although heating is not as precise. LPG is recommended for heating thicker weld metals. There is a 4:1 blend ratio of oxygen to LPG, which significantly increases oxygen consumption in addition to noise levels. The large flame also results in an increased thermal load on the operator. It is not realistic to use compressed air rather than oxygen in the LPG flame, as the air flow will assume massive proportions. However, this is a possibility for small torches. Propylene and natural gas are also commercially available for heating purposes. Propylene (sometimes referred to as Thermolene, its trade name) shares many of the characteristics of LPG. However, the flame temperature is somewhat higher and less oxygen is used. Natural gas is practically accessible only when there is a connection to the natural gas network. The flame temperature is somewhat lower than when using LPG/oxygen. In addition, there are a wide range of so-called Bunsen burners. These run on flammable gas and atmospheric air. What is common among them is that they often fail to provide the effect required for demanding heating applications. There are a wide variety of heating torches available on the market. For straightforward applications, so-called burner inserts are attached to the existing torch. Nowadays however, there are special torches for heating purposes. There are both manual and mechanical torches, which can be tailored to every possible application. Suitable for large-scale production, mechanized torches can be equipped with automatic ignition, wireless temperature monitoring and flame monitoring to ensure maximum safety. They come in sizes which can process up to around 30,000 litres of flammable gas per hour. Manual torches come in a large number of different forms, for oxygen, compressed air and various flammable gases. There are also a wide variety of sizes available. The smallest torches, which consume a couple of hundred litres of flammable gas an hour, are suitable for small jobs, while the larger ones, processing up to 20,000 litres of gas per hour, are used to heat heavier plates and structures. When working with thinner metals or if a milder flame is required, oxygen/ODOROX can be replaced by compressed air. The gas supply must be dimensioned to the consumption. 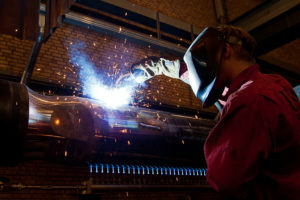 The gasification capacity of gas cylinders used must be taken into account, and the number of acetylene packages connected must be adjusted to the size of the torches. Safety. Training is required in order to ensure optimum safety and performance when performing the application. There are a large number of different applications. Below are a number of scenarios in which flame heating is used during production. 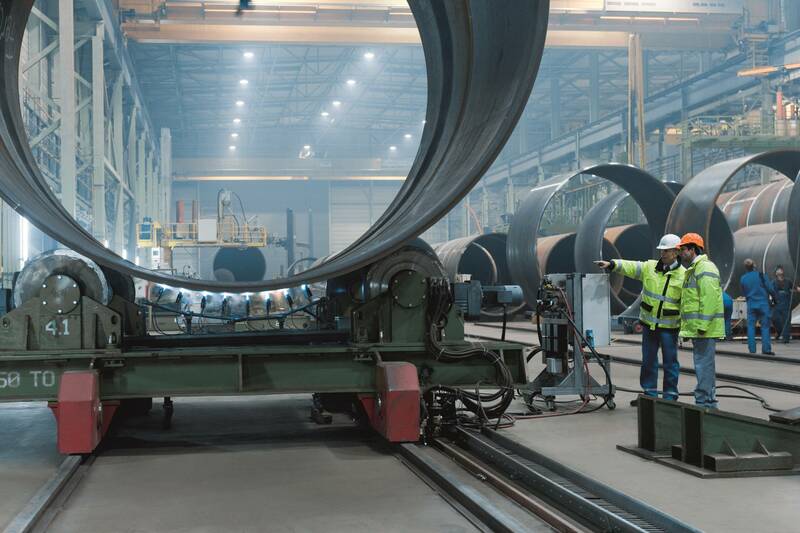 Pre-heating in the manufacture of special pipes and towers for wind mills. 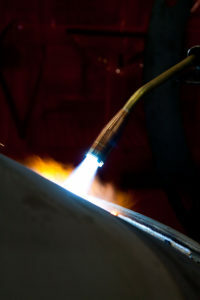 Parallel connected acetylene/hot-air torches are used for mechanical pre-heating; a cost effective, quiet method. Used for longitudinal welding during manufacture of special piping and welding flanges during production of wind turbine towers. Pre-heating while repair welding tool steel. Acetylene/compressed air. Above: Heating using acetylene/compressed air when welding heat exchangers. Heating with acetylene/compressed air provides moisture-free surfaces and, if necessary, an increased working temperature.